We have a continuous supply of furniture grade wine and whiskey barrels. These white oak barrels are no longer capable of holding wine, sprits or beer. However, they are perfect for making furniture or for display. They are also very popular for weddings and other special events. 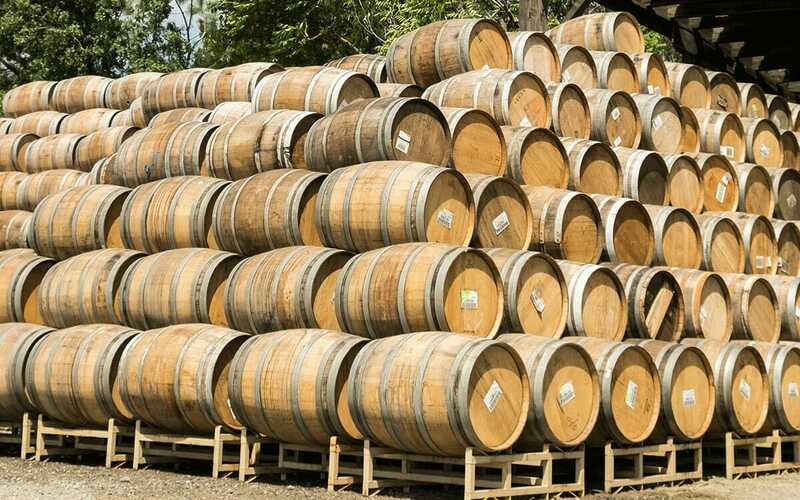 Due to the large volume of oak barrels we source from all over the world, Country Connection is able to offer a wide variety of furniture grade wine and whiskey barrels at very competitive prices. Discounts are available on orders of 30 or more. If you are in market for well-priced, great looking furniture grade wine barrels we have you covered. Let us know what type of barrels you need and we can get you pictures before shipment to ensure you get the perfect barrel for your project. Due to our multiple locations and the high volume of products we ship we are able to get very competitive shipping rates for our customers. Usually furniture grade wine barrels are much more aesthetically flawed than refill ready used wine barrels, but that is not always the case. Contact us today if you would like to receive some photos of our current furniture grade wine barrel inventory.